See these guys? After having been pillars on the Montreal blue line for a long time, vast changes swept through the defence corps of the Canadiens this off-season at the hands of GM Marc Bergevin. For a team with a franchise goaltender who puts up gaudy numbers each season, improving the team's defence usually isn't at the top of the list when it comes to improving one's team, especially when areas like scoring and middle-of-the-pack special teams could use some tinkering. Instead, Bergevin went out and blew Montreal's blue line apart in an effort to get younger and better at the same time. While everyone will focus on the Karl Alzner signing as the "big move" by Bergevin, there were other key moves that weakened his blue line significantly in this writer's opinion. Of the fifteen defencemen used last season by the Canadiens, only six are still with the franchise today. They include Jordie Benn, Brandon Davidson, Jeff Petry, Shea Weber, Zach Redmond, and Brett Lernout. Redmond and Lernout will most likely start the season in Laval at the AHL level, leaving four NHL-experienced defencemen on the roster after all the moves were made. 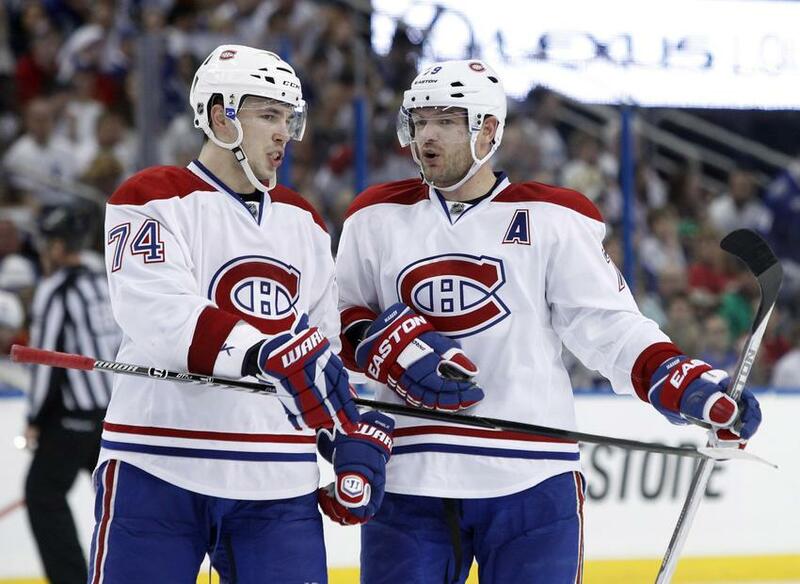 Gone are important secondary pieces such as Nathan Beaulieu and Alexei Emelin. Beaulieu played in the most games in his career last season, registering career highs in goals and tying for second in power-play points despite playing considerably less power-play time than Andrei Markov. Some will point to the fact that he was last among the Canadiens' regular defencemen in Corsi and scoring-chances-for percentages, and it seemed that he was exposed by the New York Rangers in their playoff series in terms of his defensive play. However, for a player who is just 25 and playing in his second full NHL season, Beaulieu's progress should have been good enough to warrant a roster spot this season. He'll have one, only it will be with the Buffalo Sabres who acquired him from Montreal so that Montreal wouldn't lose him for nothing in the expansion draft. The other player who ate a ton of minutes and played a solid defensive role was Alexei Emelin. For as those that decry his somewhat questionable hits and the lack of speed he possesses, he was Shea Weber's defensive partner on the top pairing and the two spent some 850 minutes together at five-on-five. They spent significant time together killing penalties as well, and the hiring of Claude Julien saw improvements to a penalty kill that was ranked in the bottom-third for most of the season. The fact that Emelin was still sent over the boards by Julien in these situations shows that the coach believed in his players. Some will say that Emelin was buoyed by Weber in his own end, and there may be some truth to that statement. When paired with Jeff Petry at times under Julien, Emelin's poor skating and poor judgment with trying to throw a big hit were exposed. Emelin's contributions in playing the most games and minutes of his career, though, helped the Montreal blue line this season. Let's be honest: Karl Alzner is probably a better defensive replacement for Emelin than for he may be given credit. Alzner won't be much help in the offensive department unless something changes within his game over the summer, but Alzner is a slight upgrade over Emelin. The other replacement that Bergevin brought in was David Schlemko via trade with the Vegas Golden Knights. Schlemko and Beaulieu are comparable players overall, so we'll call that a wash. They also signed Joe Morrow for some depth, so the Canadiens have a little depth, but he's no Mikhail Sergachev in terms of his potential. If you're looking at the depth chart, Weber, Petry, and Jordie Benn are your right-side defencemen. That leaves Alzner, Schlemko, and Brandon Davidson as your left-side defencemen. While younger than the Markov-Emelin-Davidson combination, there's a significant lack of experience there as well. Alzner certainly has played in big games and seen almost every situation, but Schlemko and Davidson haven't had the seasoning that Markov and Emelin have had in their careers. I'm not saying that will plague the two younger defencemen, but expect some bumps on the road as they are forced into situations by default that they may not have encountered at this point in their careers. Do I like what Bergevin has done this off-season? I'll say that the jury's still out. I know they needed scoring and to get Jonathan Drouin they had to give something up, but Mikhail Sergachev seemed like a stiff price to pay. I know they didn't want to lose Beaulieu for nothing in the expansion draft by exposing him, but maybe they should have swung a deal to keep Beaulieu with the Golden Knights. I do like the addition of Schlemko and potentially giving Davidson a bigger role, but the left side, if the roster remains static, might be exploitable for a lot of teams. One thing is certain for next season: the Canadiens' blue line will look far different than it did this season. Where that will take them is all up to the players and coaching staff now.